We are very proud of our logo, and we require that you follow these guidelines to ensure it always looks its best. The logo and badge must be placed at least 15px away from each border. 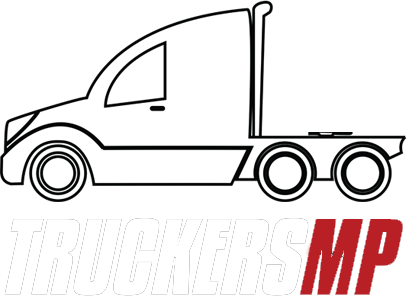 The TruckersMP logo is always either colored or white. It must be legible and maintain the integrity of its form. 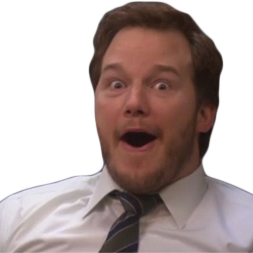 When placing the logo on an image, always use the white logo version. For images with a light background, we suggest applying a 10-20% black tint to the entire image to maintain legibility of the white logo. 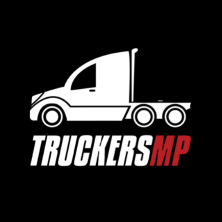 “Guidelines”) as well as our Terms of Service and all other TruckersMP rules and policies. TruckersMP reserves the right to cancel, modify, or change this policy at any time at its sole discretion without notice. 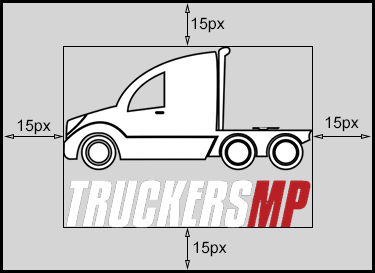 These Guidelines apply to your use of the TruckersMP trademarks. You may use the TruckersMP trademarks solely for the purposes expressly authorized by TruckersMP. Strict compliance with these Guidelines is required at all times, and any use of the TruckersMP trademarks in violation of these Guidelines will automatically terminate any license related to your use of the TruckersMP trademarks. TruckersMP reserves the rights, exercisable at its sole discretion, to modify these Guidelines, and/or the TruckersMP trademarks at any time and to take appropriate action against any unauthorized or non conforming use of the TruckersMP trademarks. If you have any questions about these Guidelines, please contact feedback at https://truckersmp.com/feedback.